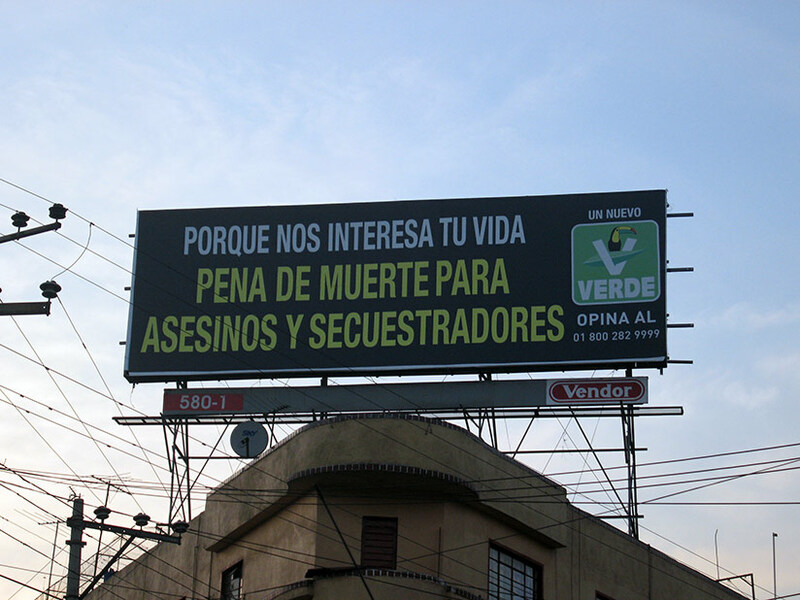 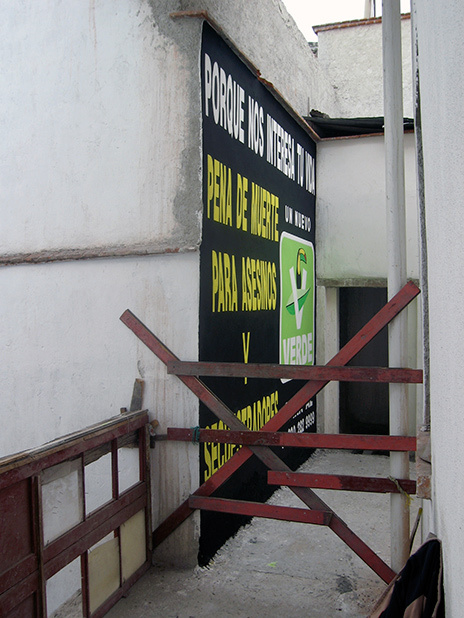 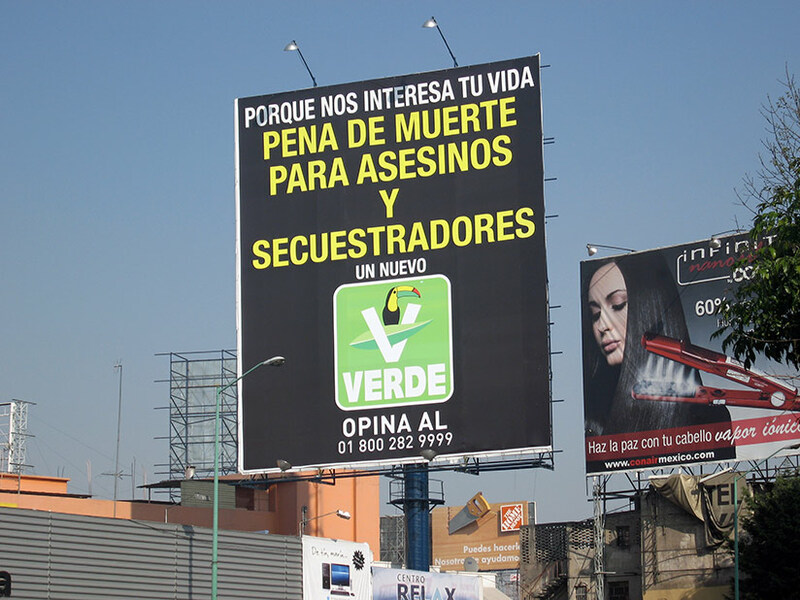 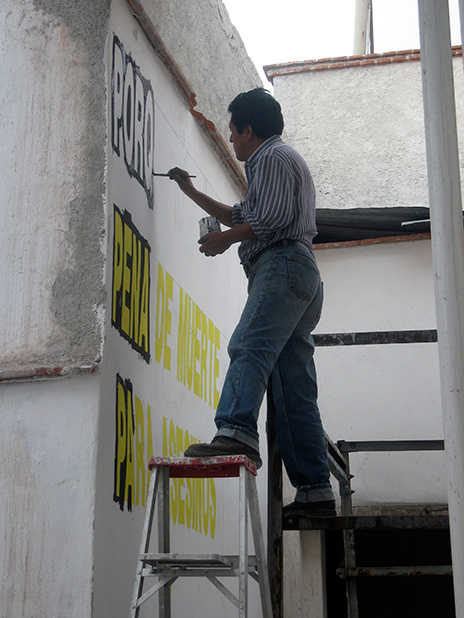 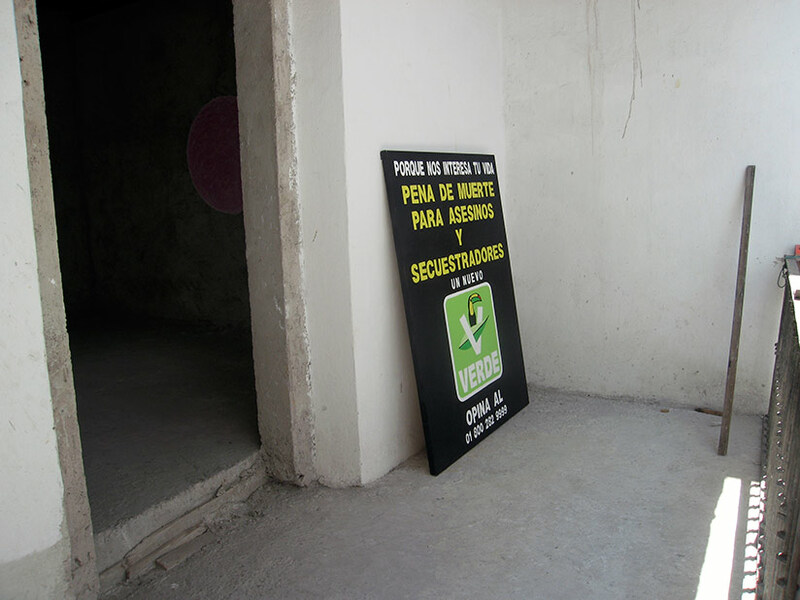 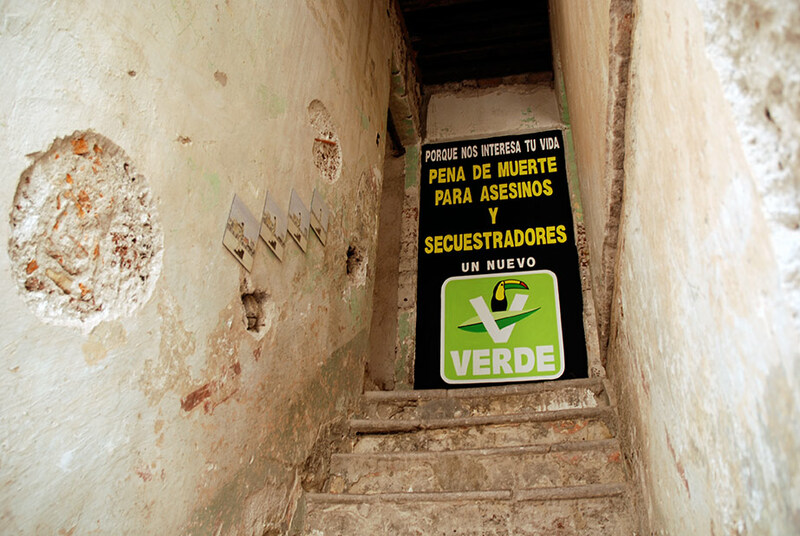 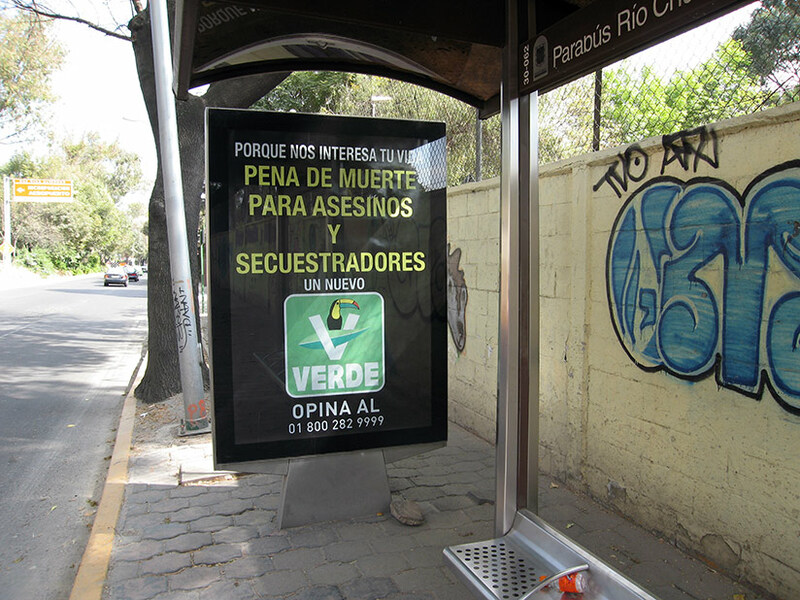 My project consisted in hiring a sign painter to paint the billboard of the Mexican Green Party 2009 election campaign, which promotes the death penalty with the slogan “because we care about your life – death penalty for assassins and kidnappers”. 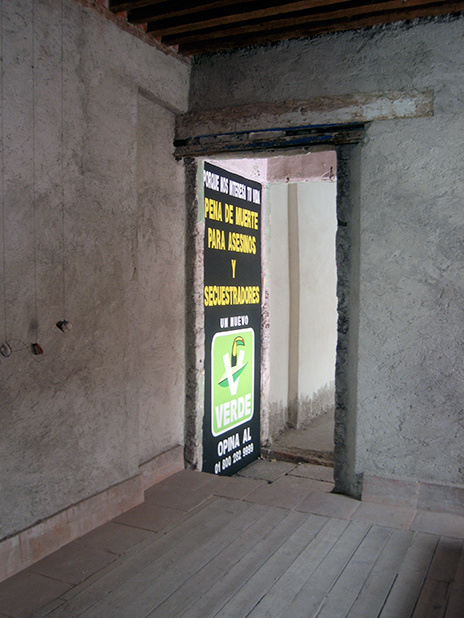 The sign was painted repeatedly in different formats on walls in the building, forming a path within the exhibition. 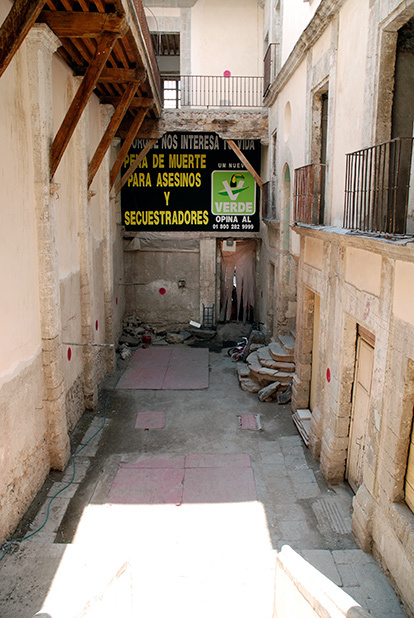 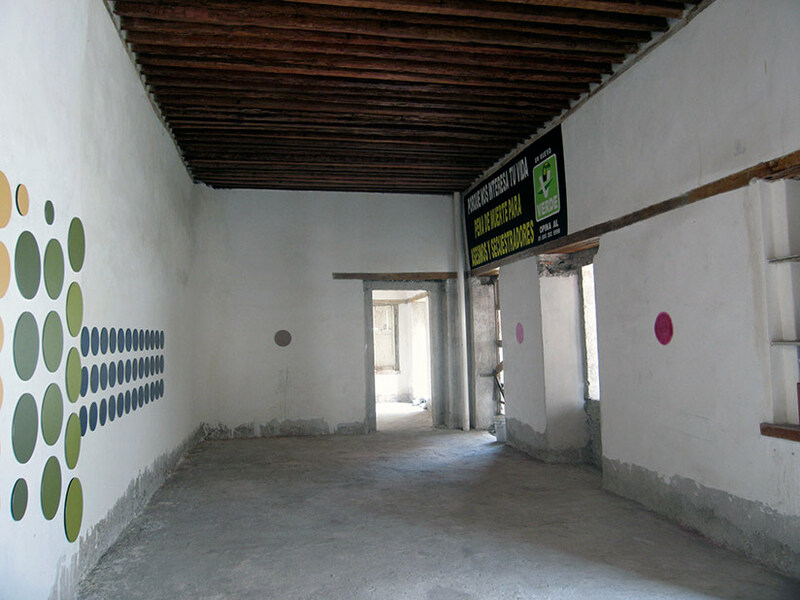 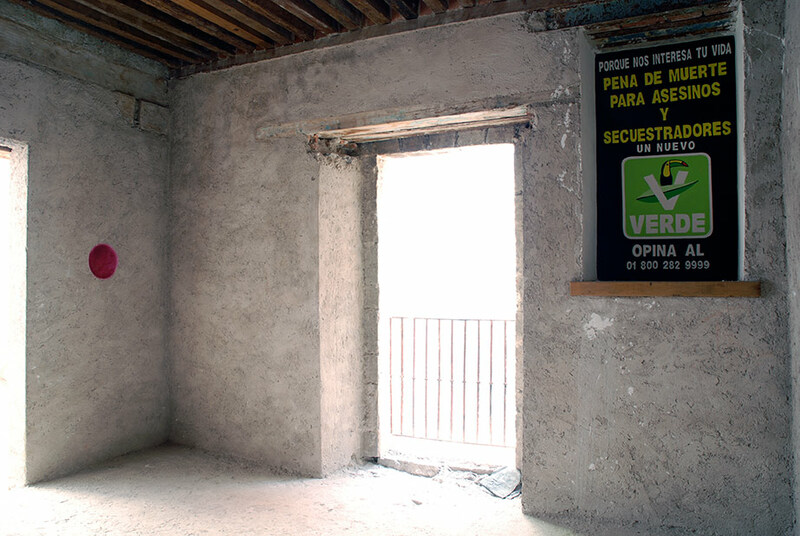 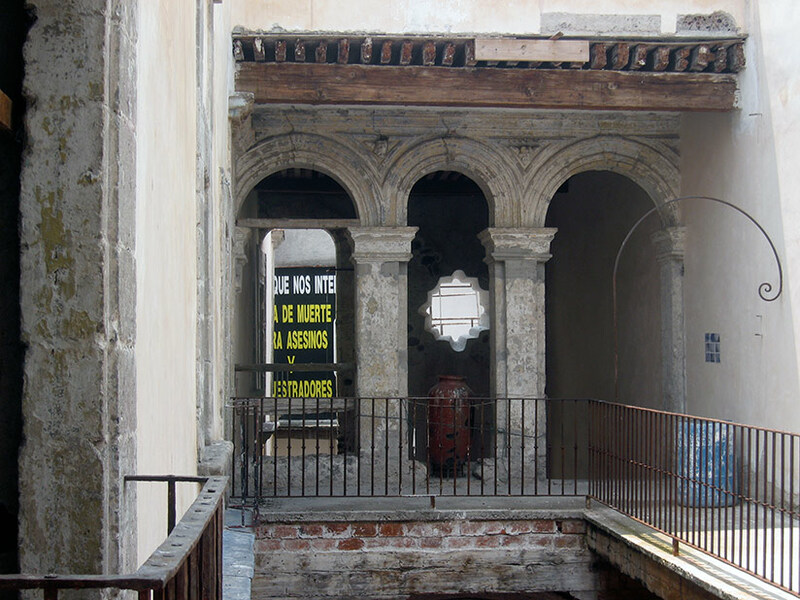 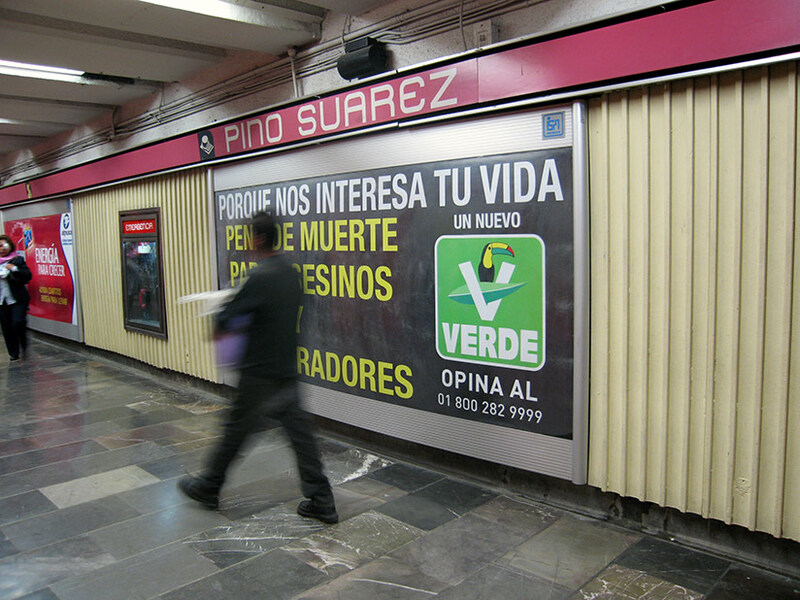 The work functions as a mirror of the visual bombardment of this advertising campaign during the 2009 Mexican intermediate elections, infiltrating itself in the same way within the exhibition space.